Established in 1999, International Adoption Net (IAN) is a licensed, full-service child placement agency and a 501 (c) 3 non-profit organization in Centennial, Colorado in the United States of America. We are a Hague-accredited agency, and have been so since 2008. We are also an active member of the Joint Council on International Children’s Services, a membership based advocacy group working to ensure that orphaned and vulnerable children can live, grow, and flourish in a safe, permanent and loving family. 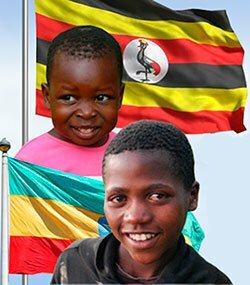 In fall of 1999 Joan Strauss and a colleague started International Adoption Net in a small church office in Denver in pursuit of the fulfilment of their dream of helping orphans around the world. In the first few years, IAN concentrated on home study services and slowly built a client base, averaging about 20-30 adoptions each year. By 2004, In addition to home study services, IAN had active adoption programs established in Guatemala, Ukraine, Russia, Kazakhstan, as well as birth parent counselling, domestic placement, post-adoption service and home study services. 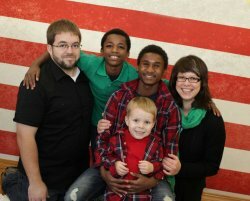 IAN also established its website in 2004: http://www.internationaladoption.net. IAN experienced a steady growth of clients over the next few years. IAN continued to provide service to an ever-growing client base in 2006, and during this time period established its Ethiopia Program. By 2007, IAN had experienced a significant jump in applications and adoptive families seeking placement assistance, providing service to over 100 adoptive families each year. In 2008, IAN received its Hague-accreditation by the Colorado Department of Human Services, ranking it among a select group of adoption agencies nationwide, which operates with the highest ethical standards. We renewed in 2016, and are now Hague approved through 2020! We hold the highest standards for all our cases from start to finish, and past. From 2009 to present, IAN continues to experience a growth in client base and service provision. To date, IAN has successfully placed more than 500 children in loving homes nationwide, from every region of the globe, with that number growing monthly. We now have offices in two states, Colorado and Florida, and contractors in two more. We have many experienced staff members standing by to help you carefully consider your options for your family. 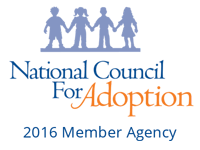 We would be honored to be a part of your adoption story! International Adoption Net is a licensed Child Placement Agency in the State of Colorado and provides international adoption programs, birth mother counseling and domestic adoption services. IAN is a Non-Profit, 501(c)3 organization and is COA and Hague accredited.